As always the Lamborghini Club America team looks forward to Concorso Italiano, the world’s largest and most prestigious luxury and exotic Italian car show. 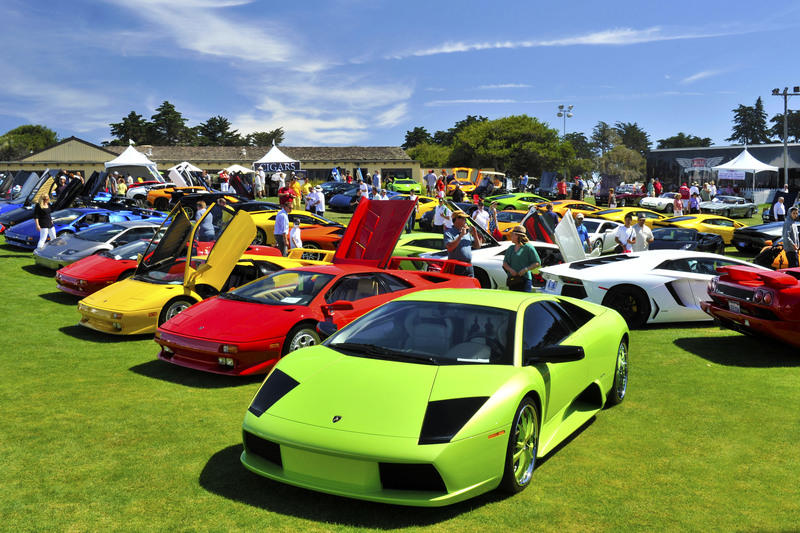 In its 33rd year, Concorso Italiano, will return to the lush greens of the Black Horse Golf Course on Saturday, August, 25 2018 to showcase nearly 1,000 Automotive Works of Art. – 2017 Ferrari F-12 TDF: Ferrari designed this model to pay homage to the Tour de France, the legendary endurance road race that Ferrari dominated in the 1950s and 1960s.The F-12 TDF is the ultimate expression of the concept of an extreme road car that is equally at home on the road as it is on the track. Only 799 have been built. – 1951 Siata Gran Sport Spyder: Based on the Fiat 1400, the Gran Sport Spyder was crafted extremely carefully, and was one of the largest models offered by Siata. It was known in the United States as the “little Ferrari” due to its incredible speed. Due to its age and the number built, this example is incredibly rare. – 1952 O.S.C.A. MT4: O.S.C.A., an Italian manufacturer of racing and sports cars, was established 1947 by the Maserati brothers. In their day, the MT4 model cars were exceptionally expensive but extraordinarily fast. Only 72 were built. – 1966 Bizzarrini P538: This is a very rare rear-engined race car launched in the mid-1960s by Scuderia Bizzarrini. Five-speed manual transaxles were used in this car, with gearing specific to the race for which each car was constructed. This was the first V8-powered car to debut at Le Mans. – 1985 Ferrari 288 GTO: This vehicle was designed for the legendary Group B racing circuit and is one of the top Ferraris ever created. It is a rear-engined, five speed manual that boasts a 400 horsepower twin-turbo 2.9-liter V8 engine. Only 272 were made.